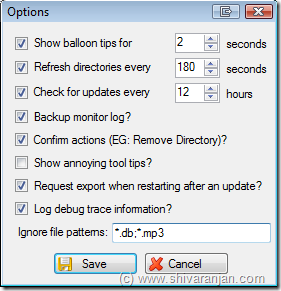 Directory Monitor is a free software using which you can monitor multiple directories or folders for file changes, modifications, deletions and addition of new files. This tool similar to the Watch 4 Folder which also does the same thing but directory monitor has got more features and better user interface than Watch 4 Folder. There are four events that Directory monitor can monitor and they are : addition of new files, modifications to files, deletion of files and renaming of the files. 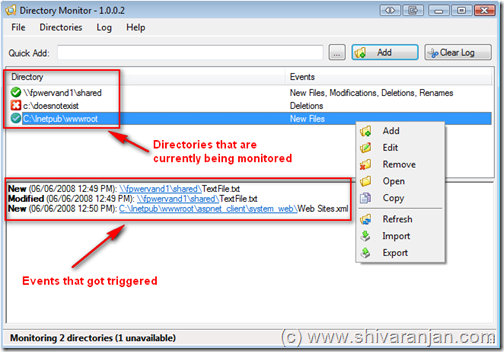 When you add the directory or folder to Directory monitor you can choose the events that you would like to monitor for. When ever an event occurs balloon tip will be visible to you. There is option to control the monitoring frequency and also backup the events to a log file. If you want to exclude a particular type of file then you can enter that extension in the ignore those file types. 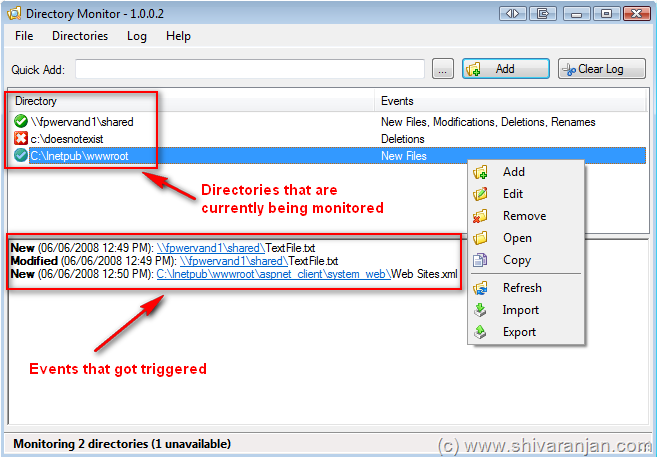 Directory Monitor can monitor changes in shared or network folders even those that are hidden so it is pretty useful tool that you should have in your software collection. It works with Windows XP, Windows Vista and Windows 7.